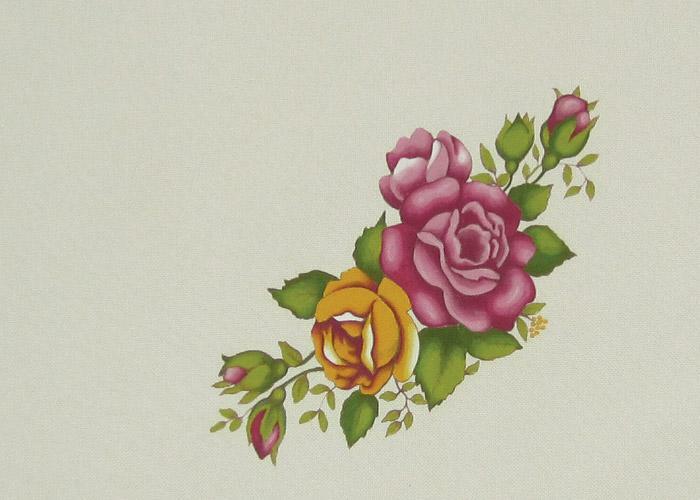 A traditional cottage rose design preshaded on luxurious cream polycotton with a rolled edge. Measures 31 x 36cm and requires colours: 1, 3, 72, 73, 76, 82. Simply place a Blotter Sheet (1632) under your placemat whilst painting.